Where are you watching the Super Bowl today? Plenty of parties are going on around town – including an especially fun one at Street FareSA, San Antonio’s premier food truck park. Located at 1916 Austin Highway near Salado Creek, Street Fare SA is a a family- and dog-friendly spot with lots of great food trucks, Airstream bar, seating areas and heat lamps. You can watch the players on four screens and enjoy $3 draft beer, beer pong, corn hole, giant Jenga and a biggest fan contest. Win a $30 Gift Card from Bob & Timmy’s On Wheels! Your fur baby could win a free dog obedience class from Ruff Tracks Training! The sports and food fun starts at 3 p.m. and goes until 11 p.m. Check out the food truck schedule and come hungry, thirsty and ready for some football! And check out this list from MySanAntonio.com for yet more places to enjoy today’s game. 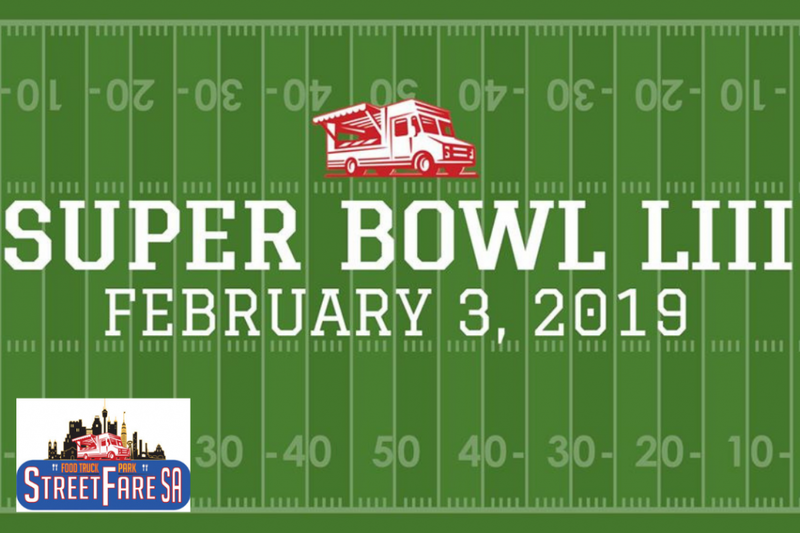 In honor of our city’s 300th anniversary, I’m ranking Super Bowl Parties #25 on my 300 Reasons to Love San Antonio list.